Via my Uncle Roshan Lal Das. 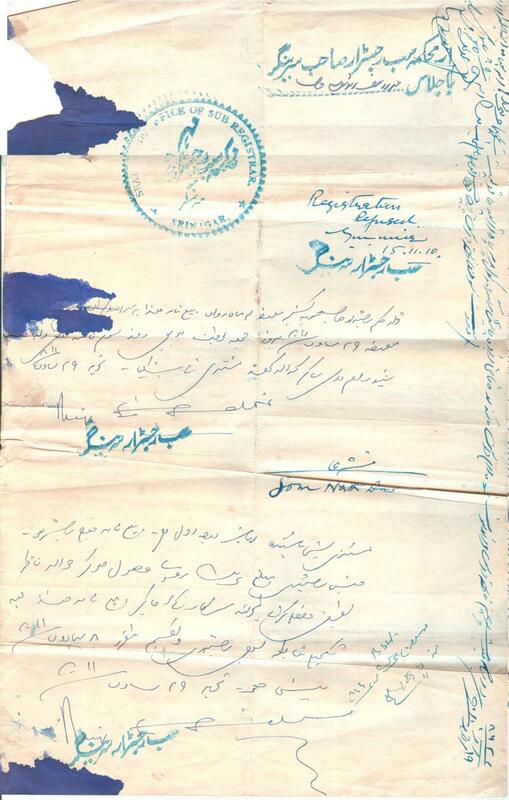 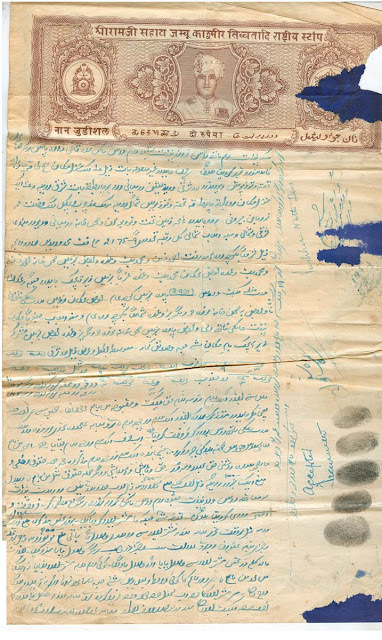 The document is land related (transfer of ownership of house among brothers, story of the house here) and the year of the (two rupee) Stamp Paper is 2010 of Bikrami Calendar corresponding to year 1953. Odd part: It proclaims to be the stamp of Jammu-Kashmir-and-Tibet state.